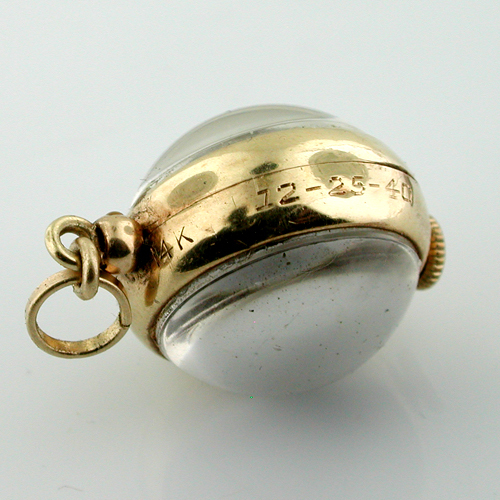 Offered for sale is a truly superb antique/vintage Wind Up Ball Watch charm in a ball shape. 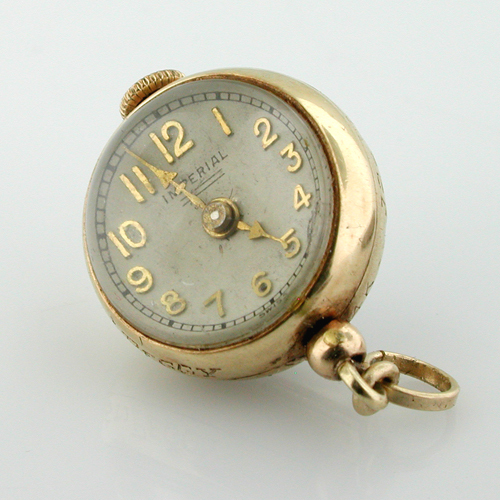 An all original Swiss made watch crafted beautifully in 14k gold by Imperial Watch Co. 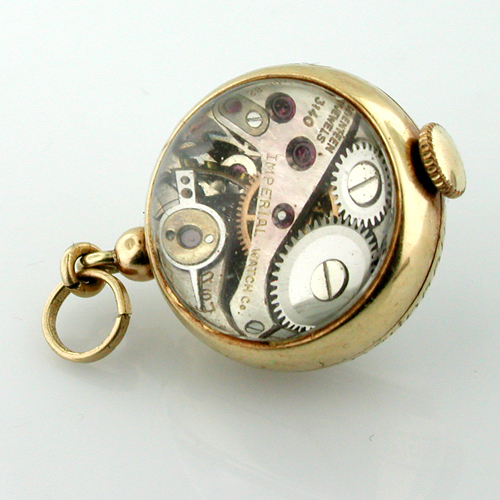 Flanked by dome glass crystals to see the movement and dial. 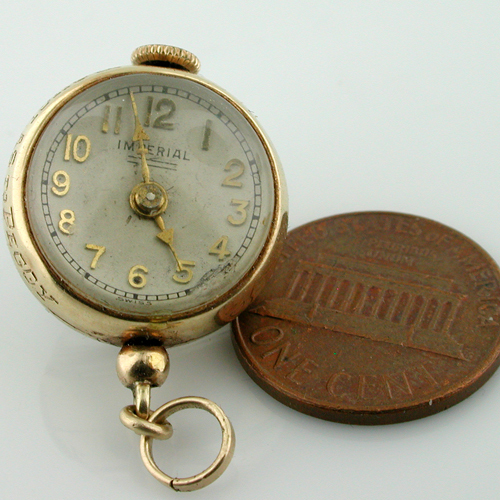 The dial has some imperfection on the edge between 4 and 5 as shown in 1st and 5th photos. Measures 1-1/16" x 3/4" x 11/16" (26mm x 19mm x 17.2mm) and weighs 8.7 grams. Marked 14K. The watch has been tested and runs flawlessly. 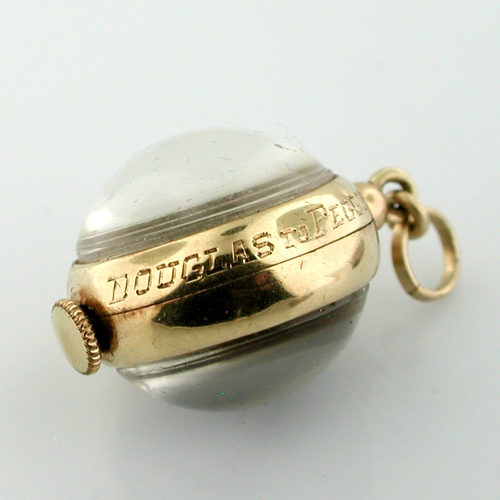 The watch was a Christmas gift from Douglas to Peggy as inscribed on the sides.